8th floor, 130 St. George St.
Dr. Jack Leong is the Director of the Richard Charles Lee Canada-Hong Kong Library at the University of Toronto. He chairs the International and Community Outreach Committee at the University of Toronto Libraries, which oversees the library’s visiting and exhibit programs. 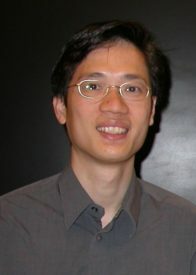 With his passion in education and information science, he has successfully established the Richard Charles Lee Canada-Hong Kong Library housing the largest research collection on Hong Kong and Chinese Canadian studies in North America. As the founding director of this library, Dr. Leong successfully developed the library into an innovative hub for community and scholarly interactions on Chinese Canadian studies. He has initiated, led and participated in a number of exhibit projects that improve cultural understanding, form international collaborations and enrich the library’s exhibit program. He was the Chair of the International Federation of Library Associations and Institutions’ standing committee on “Library Services to Multicultural Populations” from 2015 to 2017.